Please call to book an adventure that is less than 18 hours in advance or a group larger than 8. The age requirement for all trail rides is 7 and older. Pony rides are available for children younger than 7 years old or who have not ridden before. *A 20% gratuity is added to the final bill for all rides. Why do we do this? We pride ourselves on having our guides be the best in the west and you don't have to worry about having cash in hand at the end of your ride. There is no better way to experience Snowmass than with open skies and snow covered peaks while on horseback. Our wranglers will guide you up through the hills of Snowmass with views of Mt. Daly and the entire Elk Mountain range. This ride is not available on Wednesdays from June 12 - August 31. Private Ride: additional $50/person This will guarantee that you/your group will not ride with any other individuals or groups. Perfect adventure for those age 2 and up. 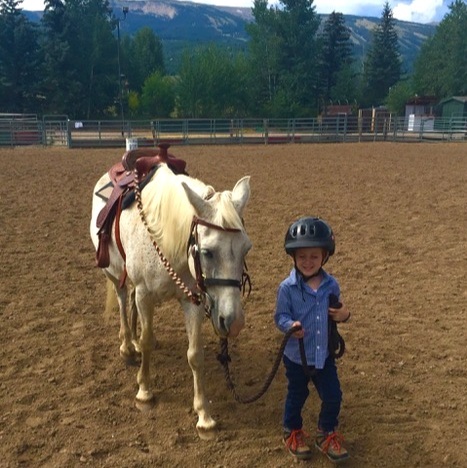 We understand the need to tailor the outdoor experience to the strengths of your youngest buckaroo, and our pony rides cater to a well-rounded family vacation. Join us in the Snowmass Rodeo arena for an exciting and safe ride. With our wranglers at the reins, your little one will be entertained. . Don't forget your camera! Get a real hand on experience with goats, a miniature donkey and other furry friends! Available Tuesday, Thursday & Friday from 9am-2pm. Call ahead to make sure the furry friends are there! *A 20% gratuity is added to the final bill for all rides. Why do we do this? We pride ourselves on having our guides be the best in the west and you don't have to worry about having cash in hand at the end of your ride. 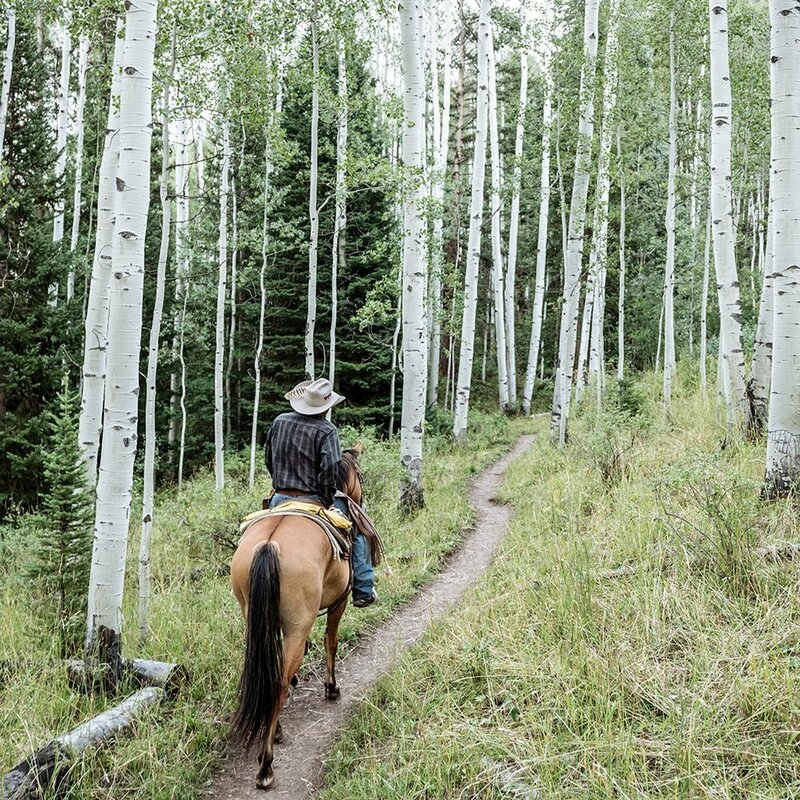 Enjoy a scenic ride in the saddle through aspen tree groves with the sounds of West Snowmass Creek alongside you. You will enjoy the shaded portions supplied from the tall trees above you. Location: West Snowmass Creek - 11450 Snowmass Creek Road on GPS will get you to the location where Snowmass Creek Road crosses the bridge. The horses and wrangler are located here. Do NOT meet at the trailhead parking lot. Private Ride: additional $50/person This will guarantee that your group will not ride with any other individuals or groups. Location:West Snowmass Creek - 11450 Snowmass Creek Road on GPS will get you to the location where Snowmass Creek Road crosses the bridge. The horses and wrangler are located here. Do NOT meet at the trailhead parking lot.